It is the scientific and practical approach to computation and its applications. Here you will learn the theories of computation and the various designs of computational systems, including programming. To produce knowledge motivated, employable professional engineers capable of making a meaningful contribution towards the improvements in theory and practice of computer science and engineering. To create an educational infrastructure that complies with higher general & statutory standards set for technical institutions. To impart knowledge using new teaching-learning methodologies and application oriented approaches. To promote researches of high quality. Students will acquire new knowledge. Students will get multi dimensional learning opportunities. Increasing number of Computer Engineers to meet the growing demands of nation. To prepare students to be successfully employed in IT industry. To prepare students for administrative jobs. To prepare students to become good academician. To increase the interest of the students in research. To enhance the interest in the students to become self-employed rather than employed. Apply the knowledge of mathematics, science and engineering to provide solutions to complex computer engineering problems. Analyze complex computer engineering problems using the knowledge of mathematics, science and engineering. Design and develop software, hardware and networking systems in different domains. Use different research methods for analysis and interpretation of data to provide valid conclusions. Apply modern engineering and IT tools, techniques and resources in complex computer engineering problems. Apply the knowledge of computer science & engineering in multidisciplinary projects. The computers of the labs use both Linux and Windows as operating system. All the laboratories are well networked with Internet facilities. The Government of West Bengal had organized a national level workshop to ensure a Cyber Safe Bengal. It was named ‘Knowledge Exchange on Cyber Security’. The workshop was organised at Biswa Bangla Convention Centre in New Town in March 2018. Prof Sandip Dey and Prof Dhrubajyoti Ghosh accompanied the students. The main objective was to create a blueprint on cybersecurity. Shri Amit Mitra, the state Finance Minister, and Shri Bratya Basu, the state Information Technology (IT) Minister, were present. 3rd-year students from Computer Science Deptt attended the workshop. It may be mentioned that the state IT department has taken several measures in the past six years to ensure cybersecurity in the state. The Cyber Security Centre of Excellence was set up and it was a major step in driving Bengal towards cybersecurity. The collection, analysis, and dissemination of information related to cybersecurity take place from this Centre of Excellence. At the same time, necessary tasks during an emergency situation will get coordinated from here and it would also issue guidelines and advisories to avoid even a single cyber attack. It has been learned that various organizations dealing with cybersecurity will be discussing the issue to prepare a blueprint according to which cybersecurity will be further strengthened in the state. Experts from universities were also present at the workshop. This comes at a time when various IT majors have decided to invest further in Bengal. According to a senior official of the state IT department, such initiatives will help to provide a further boost to the state’s IT sector. It makes the top brass of the companies feel that there is a minimum risk of any cyber attack when there is a Cyber Security Centre of Excellence. Coding competition C_ODERS_18 held in March 2018. Students solve interesting Programming problems with C and Java language. Shreyans Mishra, Sourav Patra, and Kaustav Hazra respectively won the 1st, 2nd and 3rd positions. Technical exhibition 2017 held on August 2017 on college premises. 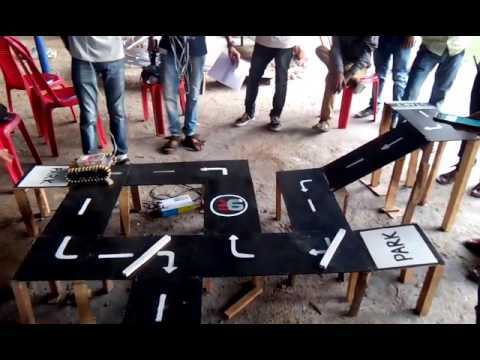 Students of B.Tech Computer Science & Engineering implemented projects like Quad Copter, Line Follower Robot, MiniCNC Plotter, All Terrain Vehicle etc. Mini CNC Plotter by Arka Bhoumik won the 1st prize. Amit Prasad Rauth, a student of the Department, presented a paper ‘Design and evaluation of Text Pre-Processor – A tool for Text Pre-Processing’ in the International Conference on Advances in Science and Technology – ICAST held in March 2017. Arka Bhowmick, a student from the Department, won (i) Overtook (ii) Carb-o-botics competition in Resonance v9 robotics competition in two separate events, at CEMK, Kolaghat, 2017. A workshop was organised on ‘Android Application Development’ in August 2017. Students of CSE department participated and developed interesting apps. Prof. Piyali De participated in a workshop on ‘Promotion of Spoken Tutorial’ by IIT- Mumbai on 17th February 2017. She also started various courses based on those spoken tutorials for CSE students. Prof Saikat Pahari of CSE department presented a paper named “Online review analysis and decision making” at International Conference on Computing, Analytics and Networking (ICCAN 17) at KIIT University, Bhubaneswar. Prof. Dhrubajyoti Ghosh presented a paper ‘A Fuzzy Relation Model for Multi-Criteria Decision Making Problem’ in ICETC3 in March 2016. Students of CSE department secured good marks in NPTEL examination held in September 2016. Arka Bhoumick, Rohit Dhara and Tania Roy of 4th year CSE have started working with reputed companies before completion of their course in 2017-18. Many of our students have also gone in for higher studies at premier institutions. Currently, Rituparna Majhi is pursuing M.Tech at Jadavpur University. Our former student Ashish Mishra passed MBA from Indian Institute of Foreign Trade, Delhi and Antara Pal passed M.Tech from NIT, Durgapur in 2017. Faculty members of the CSE department are engaged with journal publication and reviewing process on regular basis. Prof Saikat Pahari achieved Outstanding Reviewer from Elsevier publisher, Netherland in 2017. Spoken Tutorial Project of IIT, Mumbai, is an initiative of National Mission on Education through ICT, MHRD, and Government of India to motivate teaching and learning of various Free and Open Source Software (FOSS) like Linux, Scilab, Perl LaTeX, PHP & MySQL, Java, C/C++, LibreOffice etc. with the help of an easy Video tool across India. (i) 30 students of the 1st year had enrolled for C & CPP Program and among them, 13 students have achieved Training Completion Certificate from IIT Mumbai. (ii) 26 students of the 2nd year had enrolled for Advance C Program and all of them have achieved Learner Certificate from IIT Mumbai. (iii) 23 students of the 3rd year had enrolled for Advance C Program and all of them have achieved Learner Certificate from IIT Mumbai. (iv) 13 students of the 4th year had enrolled for PERL Program and among them, 6 students have achieved Training Completion Certificate from IIT Mumbai. 3 Admission activities (for ensuing new students) will be completed by 16th August, 2017 N.A. 4 Registration activities (for ensuing newly admitted students for the session 2016-17) will be completed by 15th September, 2017 N.A. During Inter-Semester Break, students will undergo Practical Training in various referred Industries. Students of CSE department are working in reputed companies like TCS, CTS, Amazon, Mphasis, Fujitsu etc. From the batch of 2017-2018, several students have been placed in Innoraft Solutions, Rahul Telematic & Software Technology Limited, NRGEN, Genpact and other reputed organizations.